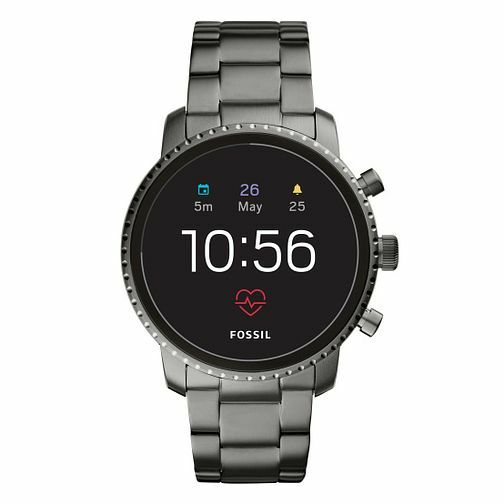 Advance your wristwear with forward-thinking technology from Fossil Smartwatches. The Explorist men's watch pieces together the practicality of Smartwatch technology with a chic and charming appearance. In a smooth gunmental grey shade, this ion plated case holds a minimalistic black face with customizable dials, featuring displays of time, the day and date, alarms, and even your heart rate. With new features such as NFC payments and GPS, the future is now. This Venture Smartwatch is based upon a gunmental grey bracelet, for both comfort and appearance.